Let us be your GUIDE to a Stress Free Transition. As a military veteran owned and operated business, we know about the uncertainty that comes with transitioning out. We’re here to help our fellow military veterans with a stress free path to amazing civilian jobs. We work with transitioning service members to connect valuable military skills with the right civilian career path. 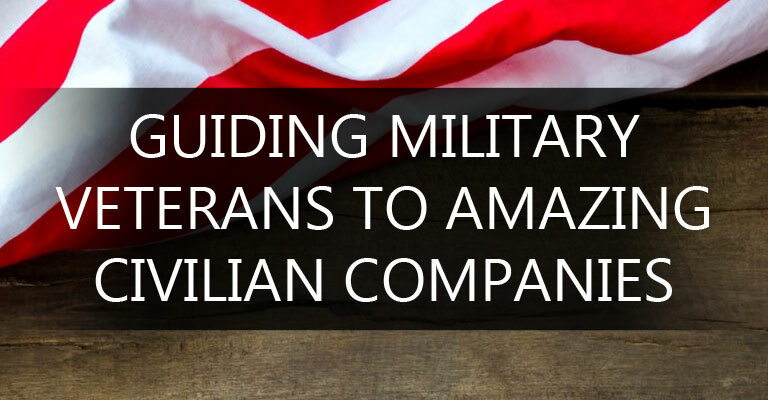 Are you interested in growing your team with talented military veterans?